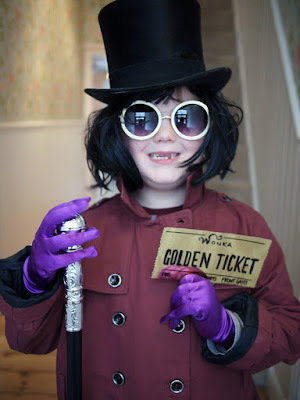 I was really inspired by the photos and ideas shared for World Book Day last Wednesday. 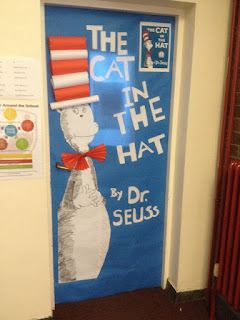 If you're having Book Week at your school later this year, here are some of my favourite displays/ideas. If you have any more, please free to add them in the comments! 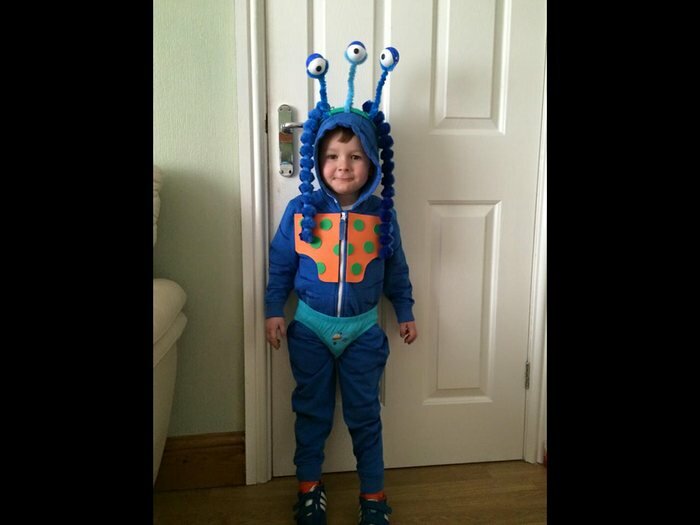 This one was shared on Twitter by Aileen Brennan Nevin (@leenbre). 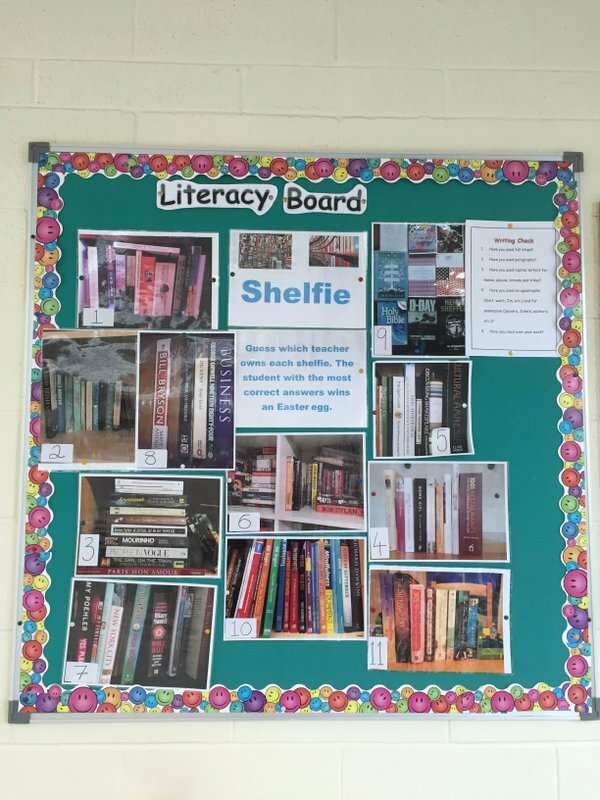 The idea is that the teachers take a photograph of their book shelf. The photos are numbered and the children can enter by guessing which teacher owns which shelf. 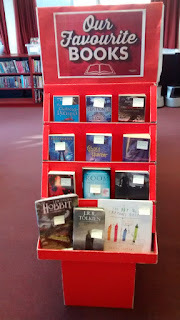 The first correct entry picked from the entry box could win a prize (ideally a book!). 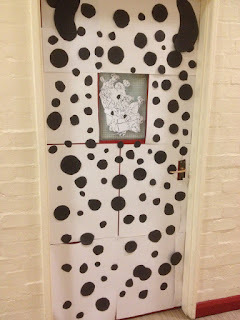 Have a look at these fantastic examples from Pinboard Paulet. 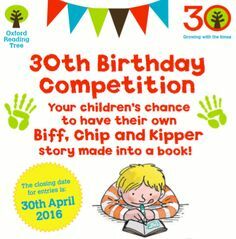 Oxford Reading Tree is hosting a writing competition to celebrate their 30th birthday. The closing date is 30th April 2016. Perhaps you could do this during Book Week. 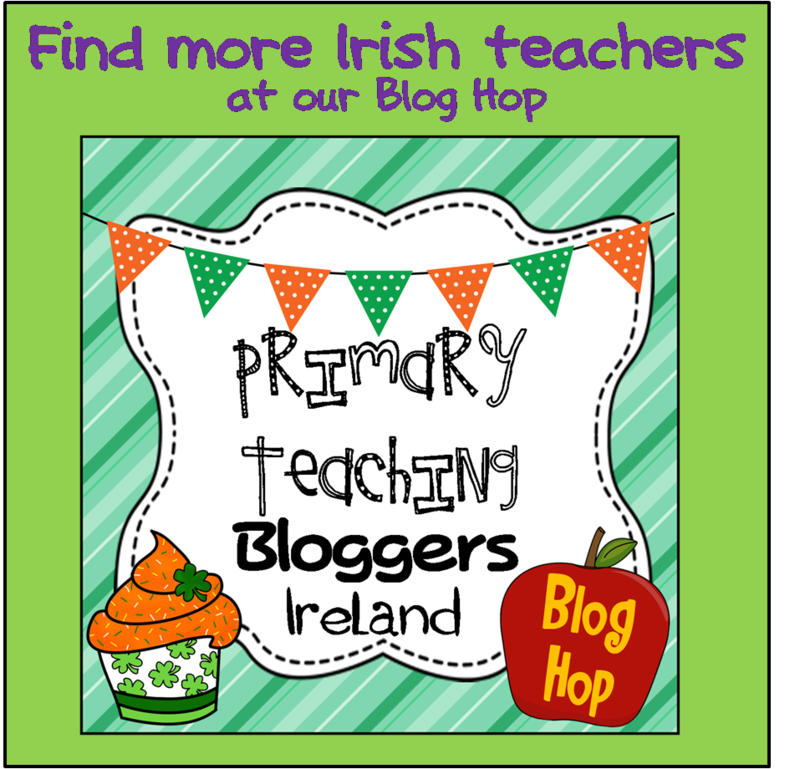 Even if your school is not eligible to enter, why not download the template and do it just for fun! 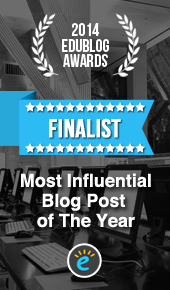 Check out more details about the competition here. The Guardian has a gallery of some great costumes from World Book Day 2016. Here are two of my favourites. 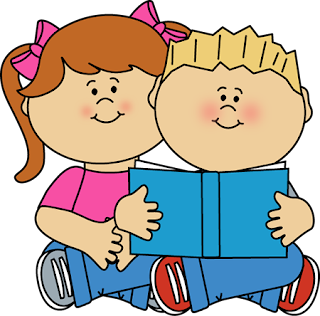 Pair up the classes and let the older children read to the younger children. This is a lovely one for building confidence as the books will be easy for the older children to read. 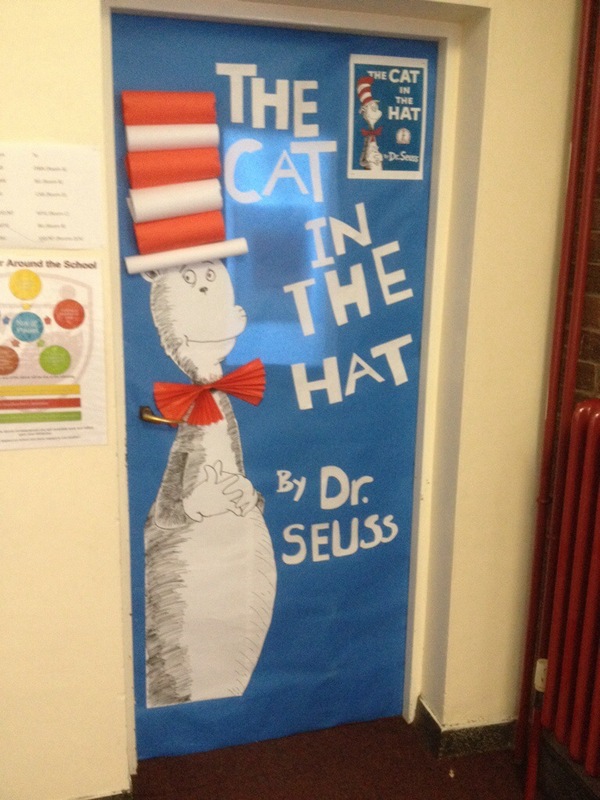 Ask everyone (teacher and children) to bring in their favourite book to keep in school for the week. Create an "our favourite books" corner in the classroom which they can read one another's books during the week. We have done this in our school and invited parents to read in their native languages even if it's not English. The children love it! I particularly love these monster/owl ones from Red Ted Art. 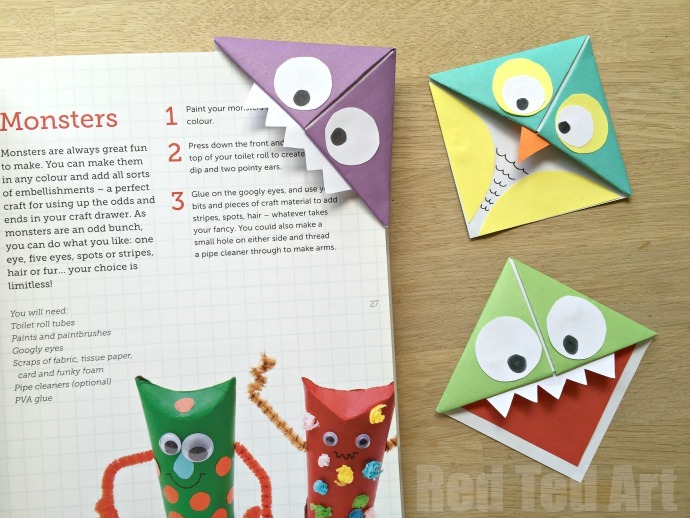 Click here to view the video tutorial on how to make them. 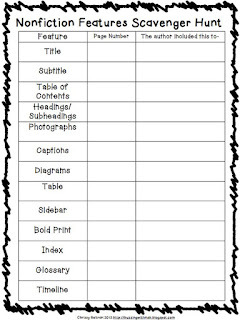 Model how to use this self/peer-assessment sheet. 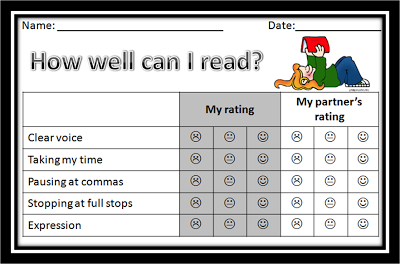 Then split your class into pairs and let them assess their own reading and that of their classmates. 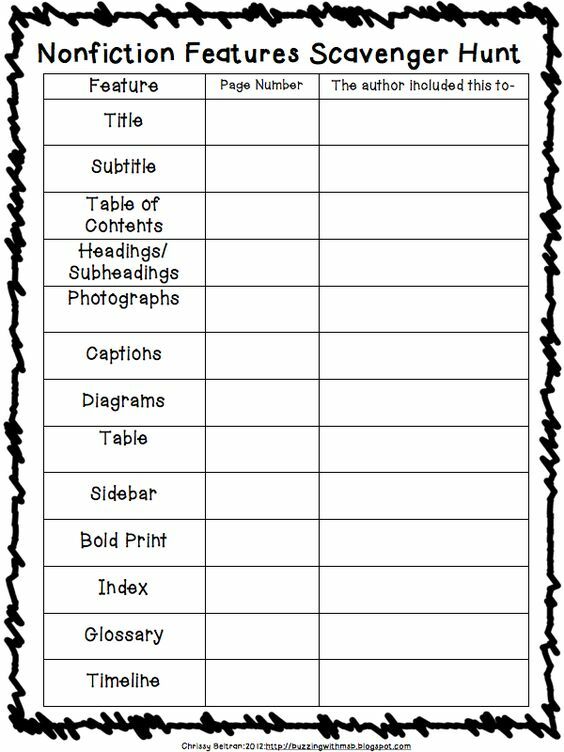 You can download this sheet for free from Google Drive by clicking here or on the image below. 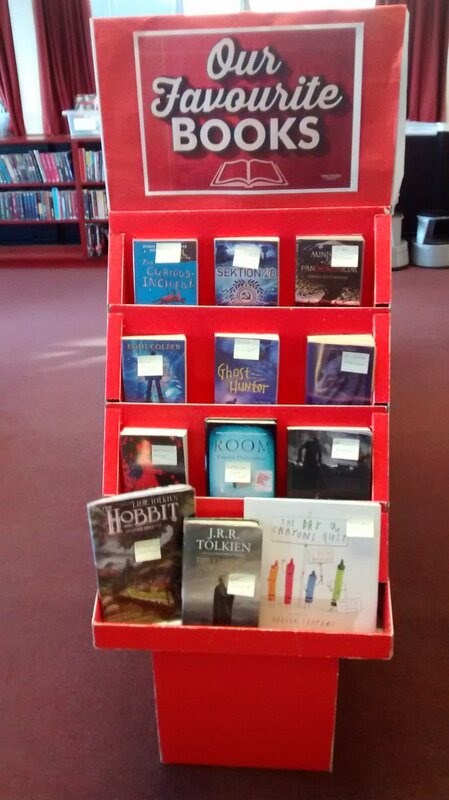 You could create a display board of famous quotes from books. Twinkl has a ready-made pack (see image below) but you could also get the children to choose their own favourite quote to decorate. 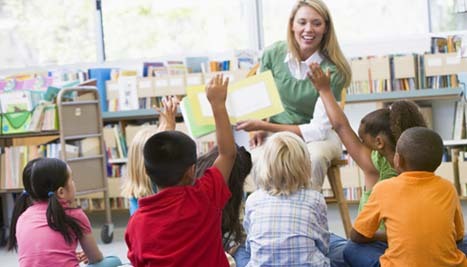 You could ask older classes to do this individually or you could do it as a whole group activity. 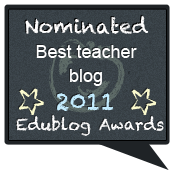 Here's a nice (free) graphic organiser from Jessica Lawler. There are lots of different versions you could do. Here are some examples. 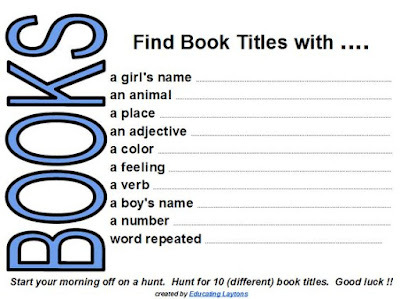 For older children, this "non-fiction features" scavenger hunt from Buzzing With Ms B is great. 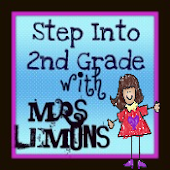 Click here to view her blog post about it and download it for free. This one from Twinkl is based on finding specific words/pictures.